Cherrapunji in Meghalaya has several reasons to claim. It is the second wettest place on the planet and the only place in India to receive rain throughout the year. The town of Cherrapunji is nestled in the East Khasi Hills about 50 km southwest of state capital Shillong. The town is also known as Sohra and Churra. Monsoon clouds which blow inland from the Bay of Bengal are stopped from moving further by the ridges of Cherrapunji. The town receives both southwest and northeast monsoon. Despite receiving excess rain, the town faces acute water shortage and the locals have to travel great distances to get fresh water. Another fall out of the relentless rain is the soil erosion which has denuded land of Cherrapunji and the surrounding valleys. 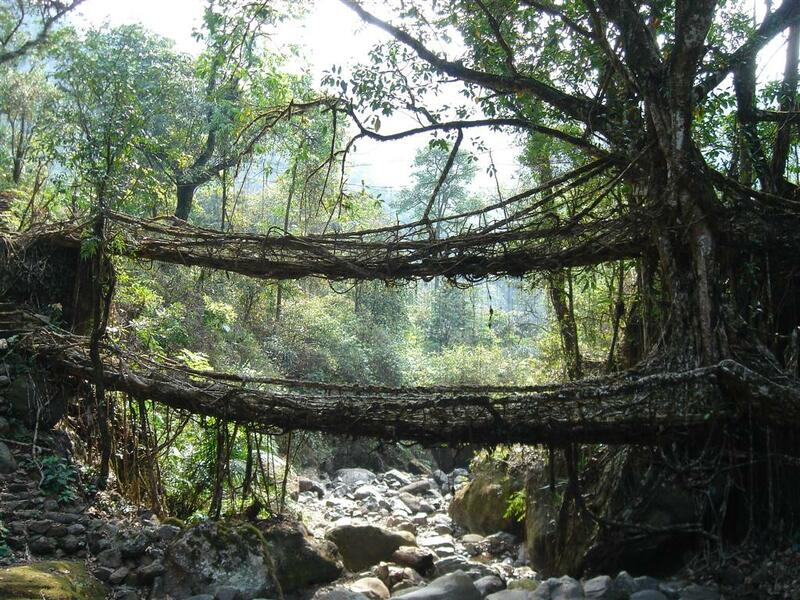 Cherrapunji is also famous for its live bridges, a result of bio-engineering practiced by the locals. The bridges can bear 50 people at a time and are spectacular to watch. Besides, enjoying the rains, Cherrapunji is also a good place for trekking. The most popular trekking route is that leads to Double Decker Living Root bridge in Nongriat village. It is advisable to hire a guide on your treks. Other activities to do in Cherrapunji are river canyoning from Nongthymmai to Mynteng steel rope bridge. Rock climbing and camping can also be indulged in Cherrapunji. Tawang is a town situated at an elevation of approximately 3,048 metres (10,000 ft) in the northwestern part of Arunachal Pradesh of India. The area is claimed by both the People's Republic of China and the Republic of China as a part of South Tibet.The town once served as the district headquarters of West Kameng district, and became the district headquarters of Tawang district when it was formed from West Kameng. The development of the town dates back to the mid-19th century, when the colonial British administration set up a sanatorium and a military depot. Subsequently, extensive tea plantation was done in the region, and tea growers developed hybrids of black tea and created new fermentation techniques. The resultant distinctive Darjeeling tea is internationally recognised and ranks among the most popular of the black teas. The Darjeeling Himalayan Railway connects the town with the plains and has one of the few steam locomotives still in service in India. According to legend, the Buddhist saint Guru Rinpoche visited Sikkim in the 8th century AD,introduced Buddhism and foretold the era of the monarchy. 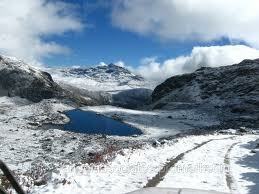 Sikkim's Namgyal dynasty was established in 1642. Over the next 150 years, the kingdom witnessed frequent raids and territorial losses to Nepalese invaders. In the 19th century, it allied itself with British India, eventually becoming a British protectorate. 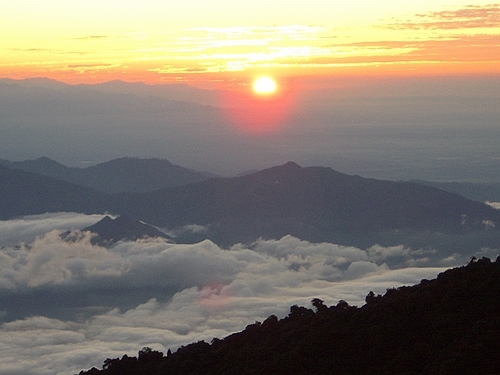 In 1975, a referendum abolished the Sikkimese monarchy, and the territory was merged with India. Sikkim is the only state in India with an ethnic Nepali majority. Sikkim has 11 official languages: Nepali (which is its lingua franca), Bhutia, Lepcha, Tamang Limbu, Newari, Rai, Gurung, Magar and Sunwar. English is taught in schools and used in government documents. The predominant religions are Hinduism and Vajrayana Buddhism. 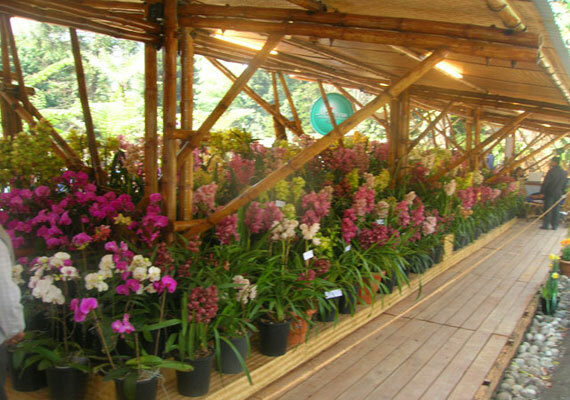 Sikkim's economy is largely dependent on agriculture and tourism, and as of 2012 the state has the third-smallest GDP among Indian states, although it is also among the fastest-growing.